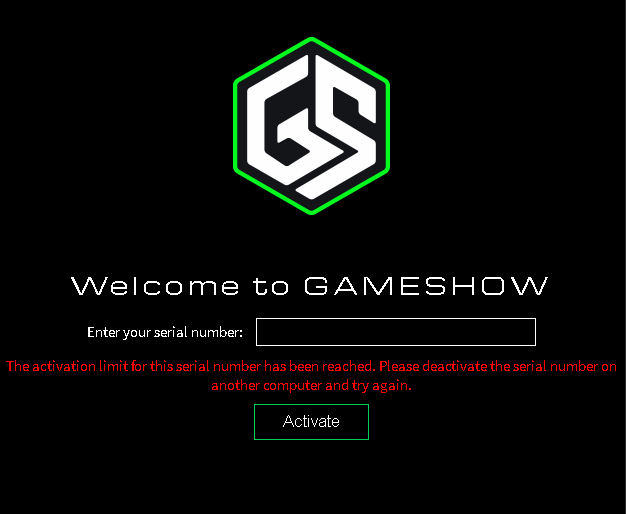 I recently had to reinstall windows 10 and just installed Gameshow again but when I put in the activation key it says "The activation limit for this serial number has been reached. Please deactivate the serial number on another computer and try again." how can I get my Gameshow back on my pc since I cant deactivate the other one. I just messaged you here through forumbee. Get back to me and I should be able to help you out. I have the same problem. I need assistance in getting back into game show. I was using it last night and now it wont work. Says the limit is reached but I've only ever had it on this computer.